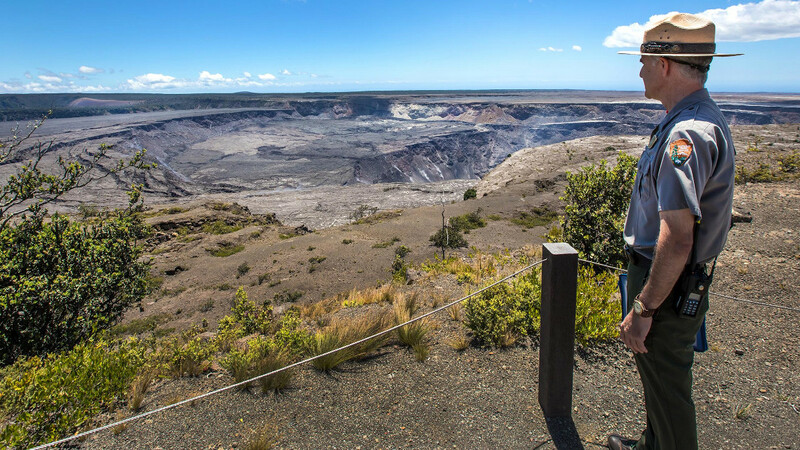 HAWAII VOLCANOES NATIONAL PARK - However, scientists say it is important to note that the volcano could erupt in the near future and the associated hazards have not changed. (BIVN) – Kīlauea Volcano is still not erupting. Wednesday, December 5, marks three months with no eruptive activity at the surface; September 4 was the last time active lava was observed along the lower East Rift Zone. According to the Smithsonian Institution’s Global Volcanism Program, volcanoes with no eruptive activity over a three-month period are no longer classified as having a “continuing” eruption. Based on this Global Volcanism Program criterion, the LERZ eruption could be considered to be over. However, there is one known example (Mauna Ulu, 1969-74) in which Kilauea’s rift zone activity resumed after more than three months had passed. Although this phase of Kīlauea’s activity has now reached this three-month threshold, it is important to note that it is still an active volcano that could erupt in the near future and associated hazards have not changed. Magma is being supplied to Kīlauea and geophysical datasets continue to show evidence for movement of material through the magma system, including the refilling of the ERZ. Rates of seismicity, deformation, and gas release have not changed significantly over the past week, the scientists say. Deformation signals are consistent with refilling of the middle East Rift Zone. USGS HVO will maintain visual surveillance of the summit and the East Rift Zone, and will continue to issue a weekly update every Tuesday. There could be additional messages as warranted by changing activity.